Jennifer — those were powerful words. I want to say that they were beautiful as well, except that the reason you had to write them steals some of the beauty. Thank you for your hard work on behalf of fellow Earth citizens who have no voice. I hope you find solace in Alabama. As Jennifer wrote that she was crying as she was writing, I was crying as I was reading. 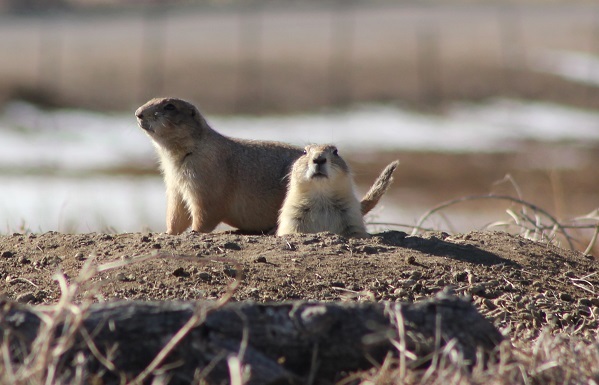 I was remembering the years I raised my children on the South Dakota prairie, and the massacres of prairie dogs that went on through those years, all in the name of agribusiness. I remember weeping as Lions Club members gathered in small towns for barbecues and prairie dog hunts. Now here I am, years later, living on the Iowa prairie, and I go to poetry readings and read my poems of rage against agribusiness and destroyers of the land. I so blindly want to believe there is a return. Either way, I am going to go down fighting.